(In)famous agents Ioan and Victor Becali decided to change tactics before the game in France, refusing to comment regarding the national team and especially its coach, Razvan Lucescu. They knew that Mircea’s son had little chances to come out with a win, so “Le Bleus” were going to give them a hand in changing this stubborn coach, who refuses to acknowledge their influence and picks his team on his own. Marica is too good to sit on the bench. And wants out, not in! Make or break time, for both Romania and Razvan Lucescu Jr.
FIFA agent Victor Becali has planned a trip to Bulgaria, in order to talk with CSKA’s board and release Daniel Pancu of his current deal. Pancu had moved to Sofia during the winter break, following Ioan Andone, but, in spite of some decent performances, fell out of favor with the new coach, with the angry fans and didn’t get paid in the last couple of months, so he decided to leave the club. Currently training (which isn’t ok, is it?) with Rapid, Pancu stated that he would agree a return to Rapid, after solving an old conflict with the club’s owner, George Copos. A good move for Rapid if all goes well, as this is also a step made by Copos to keep coach Ioan Andone at the club at least for another season. 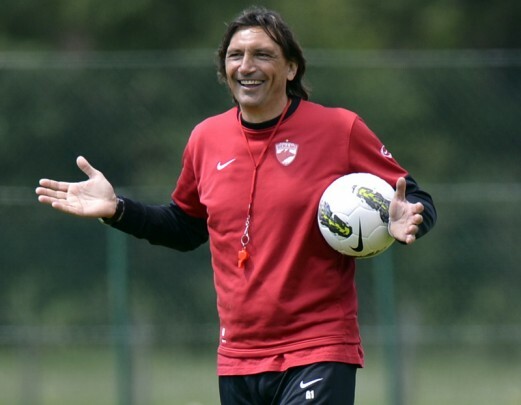 The dismissal of Italian coach Nicolo Napoli was followed by a similar episode to the one that made Dinamo keep the headlines in the past week. Four players (all bought this winter, at Napoli’s demand) refused to make the trip to Ceahlaul, for a game that could be vital for Astra’s future in the Liga I. Marcelo Mendez, Diego Silva, Danilo Carando and Gonzalo Salgueiro are now on the black list and could have the same faith as Alejandro Kruchowsky and Maximiliano Arias, the two defenders who were already released, after a string of poor performances. With the club seriously affected by the latest and biggest scandal, Dinamo’s bosses have decided to try and avoid similar episodes in the future. After the return of Florin Bratu and Ousmane N’Doye from Dinamo II, the bosses are ready to welcome back the promising Marius Alexe, but will try to limit the influence of agent Victor Becali and his brother, the former FIFA agent, Ioan Giovani Becali. Alexe was asked to part ways with his agent, as well as several other team member, as the Becalis had under contract no less than 17 Red Dogs! Update: Both players denied the information published in the press and stated that they refuse to terminate their deals with the Becali brothers and that they wouldn’t even consider such a move. Mutiny at Dinamo, under Giovani Becali’s command! After Dinamo’s defeat against CFR Cluj, in the semifinals of the Romanian Cup, three players left the hotel in the middle of the night: Ousmane N’Doye, Ze Diabate and Djakaridja Kone went out on their own and returned in the morning. 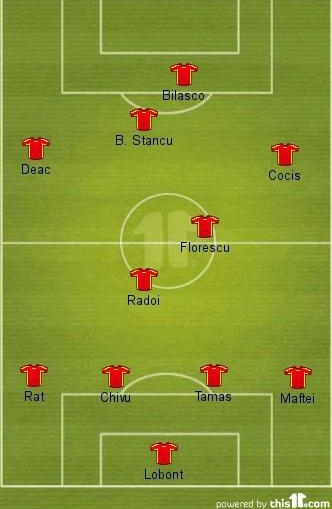 With the other players aware of their departure, talks went on among the team’s leaders, Niculae, Niculescu, Bratu, Moti and Bostina, who agreed that something needs to be done to restore an order too often troubled by N’Doye, who had been recently “rewarded” with an excellent contract and, even more surprising for such an unprofessional player, the vice-captan role.